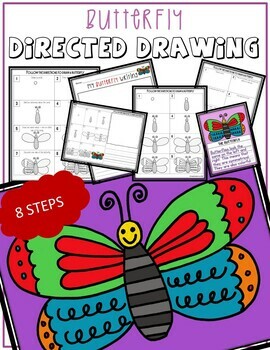 Students can follow 8 easy steps to learn how to draw a butterfly in celebration of Spring time. 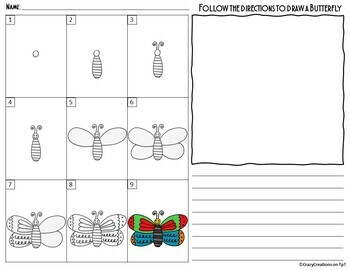 Teachers can use this as a whole-class guided activity and can demonstrate how to draw the picture on a large piece of paper while students follow along. 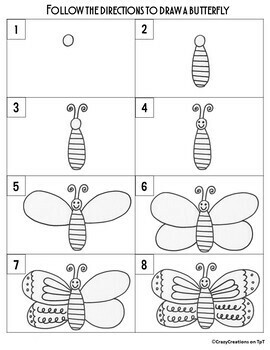 Or teachers can use these for centers and/or early finisher work as an independent activity with step-by-step directions. 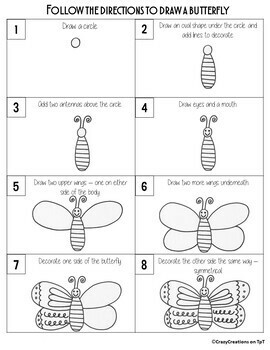 This complete packet will teach students how to draw the object by following 8 easy steps, learn about order and sequencing, draw by themselves and/or as a guided activity with the teacher and whole class, and write about the object. The full bundle for monthly themed directed drawings for April will be available soon.